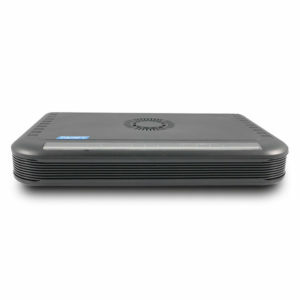 FTTx Combo WAN Broadband VoIP IAD - Tainet Communication System Corp. 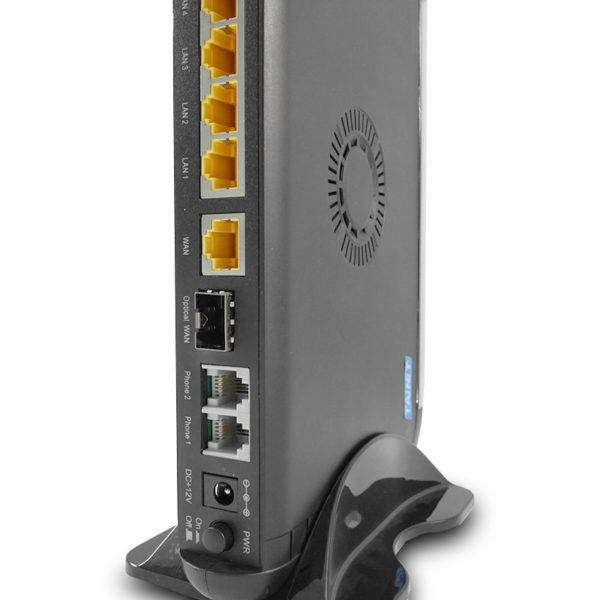 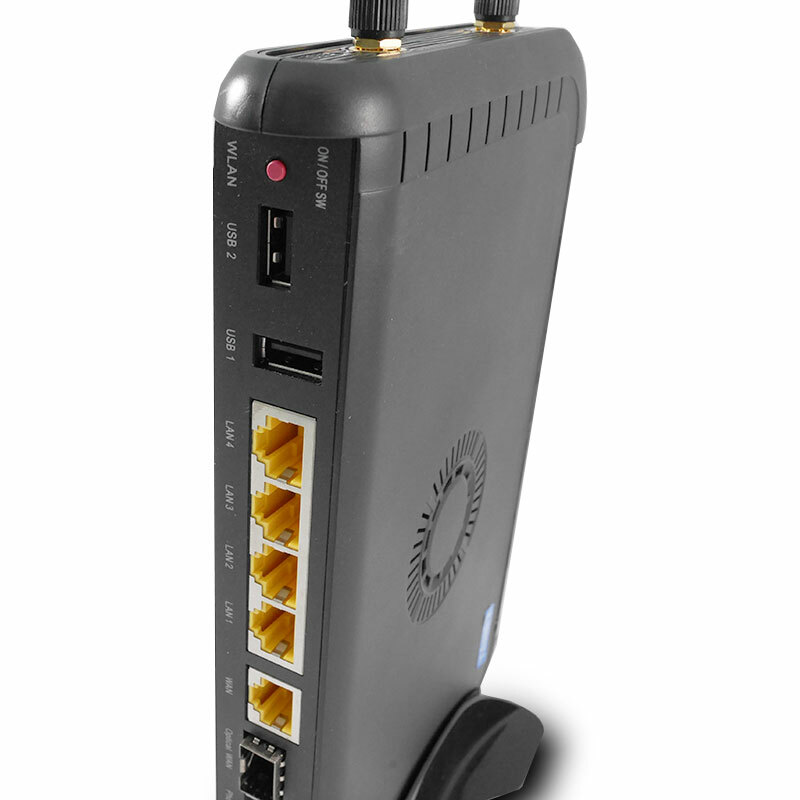 The Saturn 342 series is a fully integrated VoIP IAD for both voice and facsimile services over the IP network. 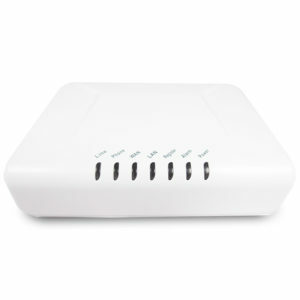 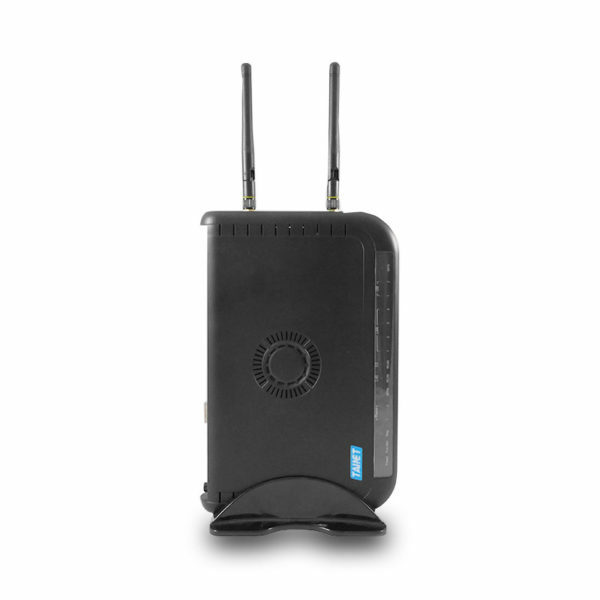 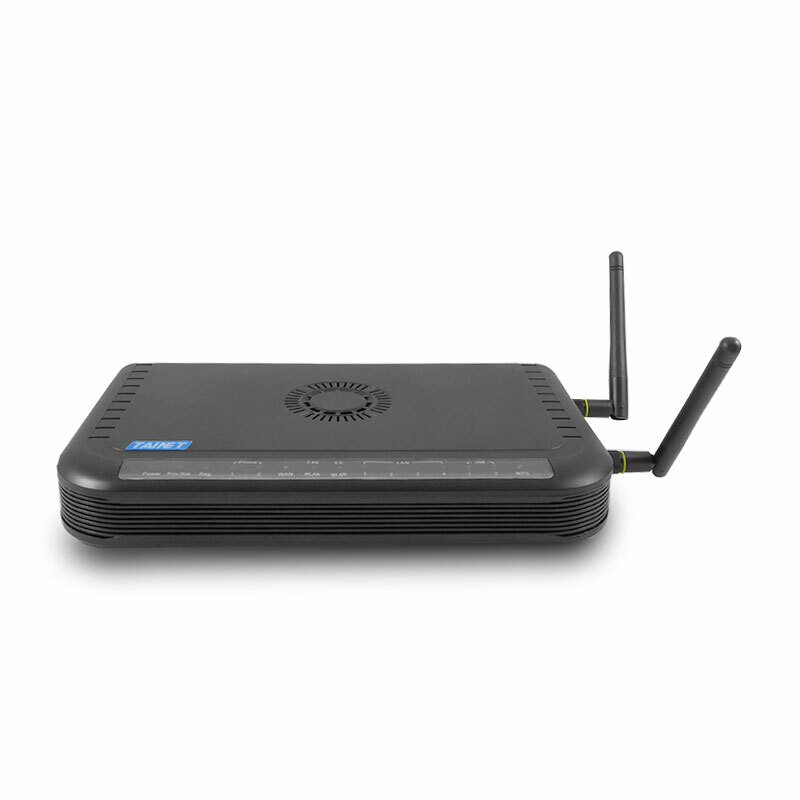 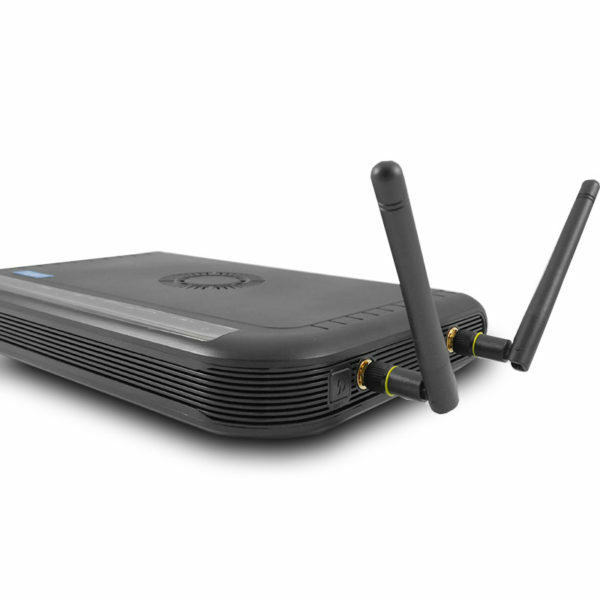 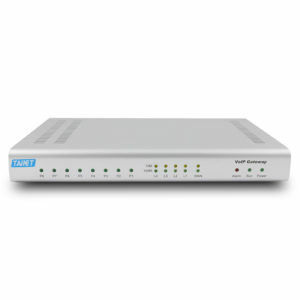 By connecting with existing FTTx, xDSL or cable modem services uses major VoIP protocols, such as SIP (RFC 3261), Saturn 342 series instantly connect the data network into a toll-saving voice network, giving users all significant dollar savings over long distance and international calls. To integrate the voice and data traffic onto the same broadband stream, 342 series offers 2T2R 802.11n/acWiFi and 4 Gigabit Ethernet LAN ports with IP sharing utilization. 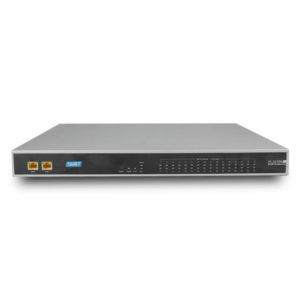 By enabling the QoS/dynamic bandwidth management feature, 342 series will make combo gigabit bandwidth utilization for voice and data traffic more efficient. 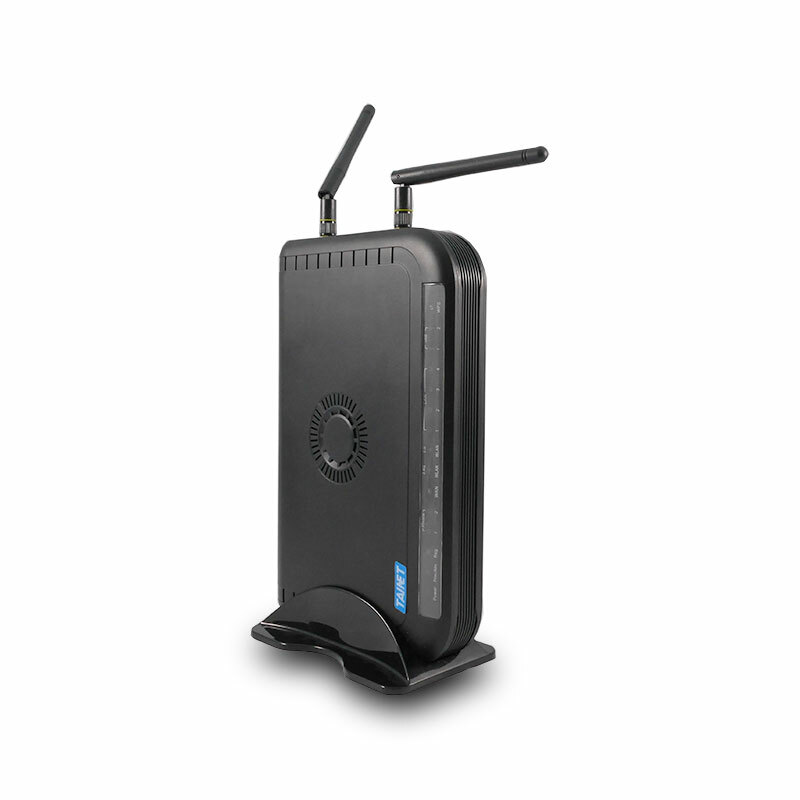 Benefit on TOS bit guarantees that the voice packets are given priority in passing through the router.